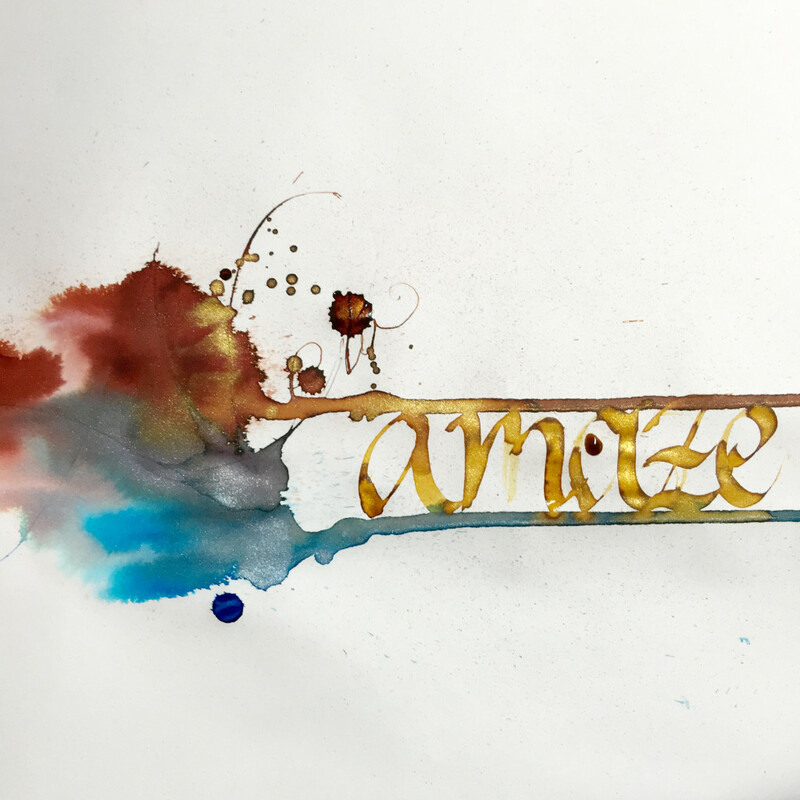 2015: the pen year in review. – Leigh Reyes. My Life As a Verb. When a market is diversifying, it’s thriving. 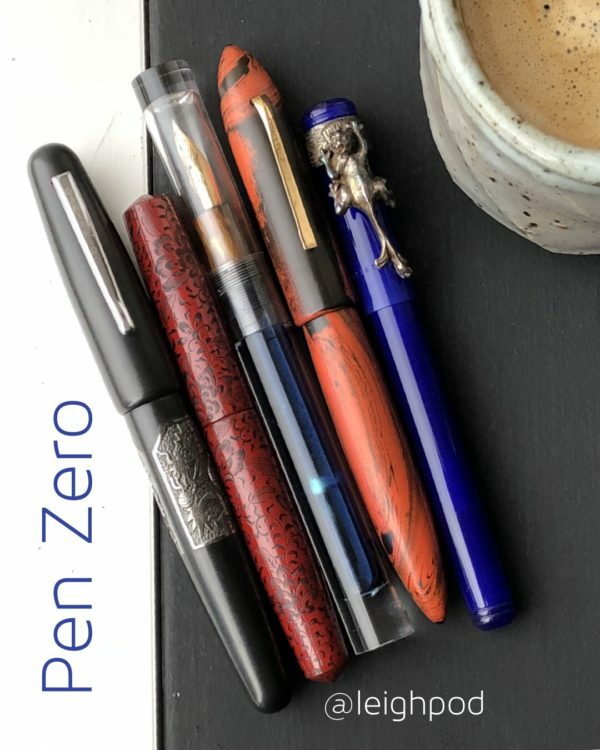 On that basis, 2015 was a healthy year for pen addicts everywhere – an especially happy observation to make in the fountain pen segment, which is almost two centuries old. 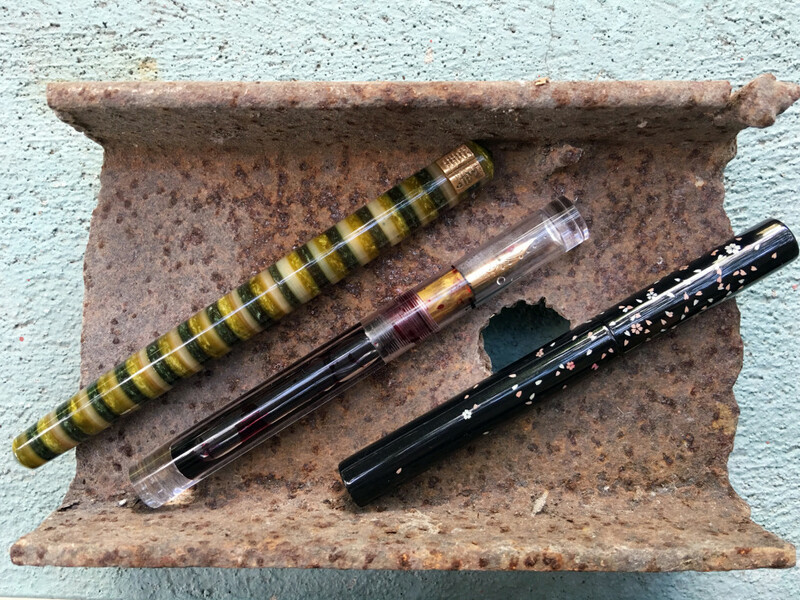 Bespoke bodies and custom nibs have been around a while, but personalization was truly the big theme of 2015. Makers connected directly with customers, thanks to visual storytelling platforms like Instagram and Periscope. Part of the thrill was being able to specify everything, from pen material to section girth to filling system to stopper. The chase was also on for rare components: vintage celluloid, a trove of once-exclusive Conway Stewart acrylic, vintage music nibs. 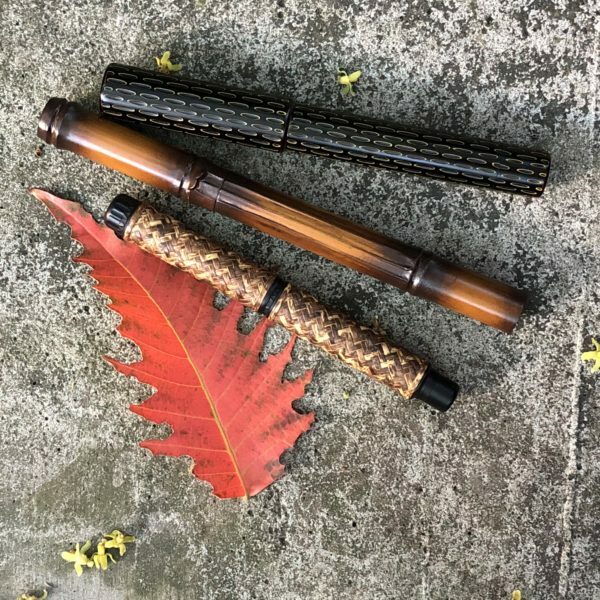 Among the makers whose popularity grew in 2015 were Shawn Newton, Renée Meeks of Scriptorium Pens, Tim Cullen’s Hooligan Pens, Jonathon Brooks aka Carolina Pen Company, and Yoshi Nakama’s Pen 18111 (one eight one eleven). Shawn’s Shinobi variations were a hit. His recently-introduced Breaker looks promising. Renée’s Conway Stewart material stash (including the subtly beautiful Dartmoor) appeared in many of her made-to-order pens. Jonathon made his own materials (even a beautifully-named Ghost Koi), and ventured into surface treatments (airbrushing and urushi). 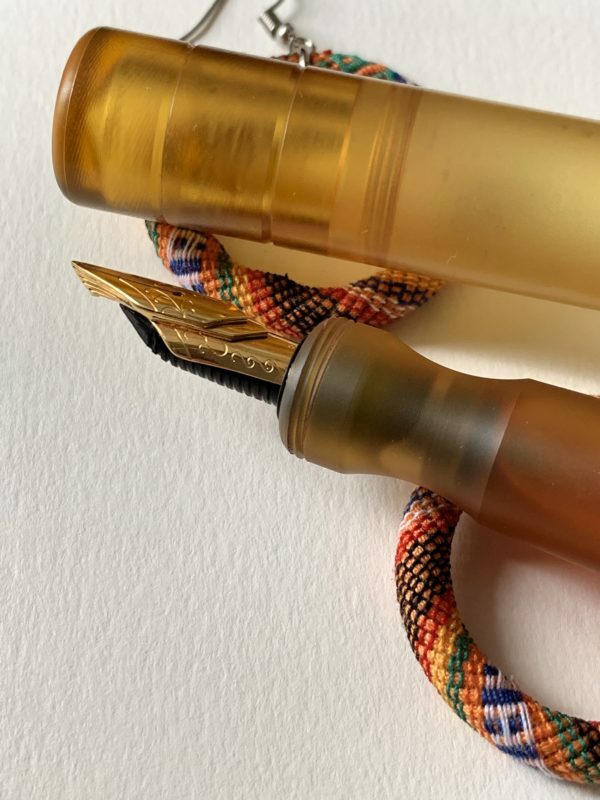 Hooligan did interesting material combinations (here’s a customer’s kingwood-and-titanium Hooligan pen review). Yoshi went beyond 3D-printing roll stoppers to entire pens. His 20-year background in fabrication shows in his techniques, including laser engraving to achieve patterns. 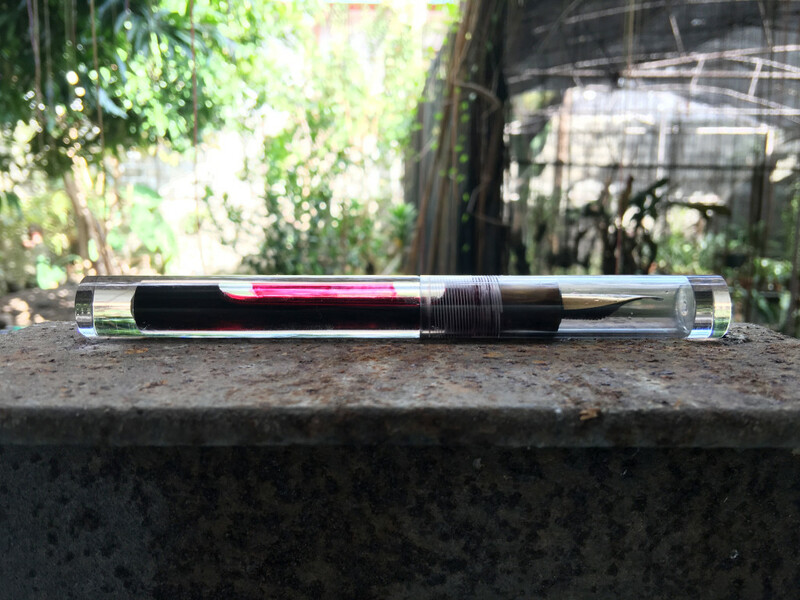 Fountain Pen Day also has a video review of his Shinobi in crystal-clear 4k. Custom nibs received a big boost from Franklin-Christoph this year, with their nib line-up pre-ground by Masuyama. 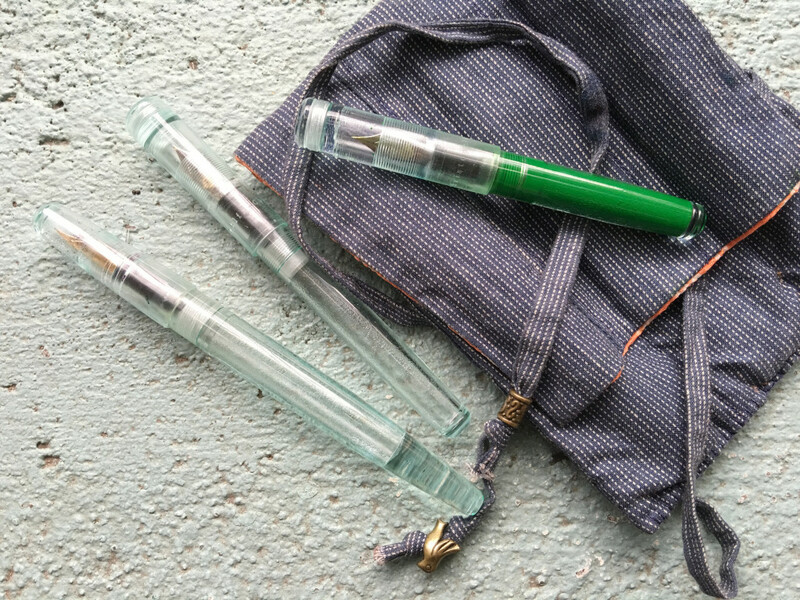 Many opted to pay extra for a Masuyama 0.2 mm needlepoint or cursive italic to go with their Franklin-Christoph pen. (Which beat waiting to stalk him at a pen show! Good thing he’s online.) Dan Smith, aka The Nibsmith, offered the breakout grind of the year, the Architect. Mark Bacas opened shop as the Nibgrinder. 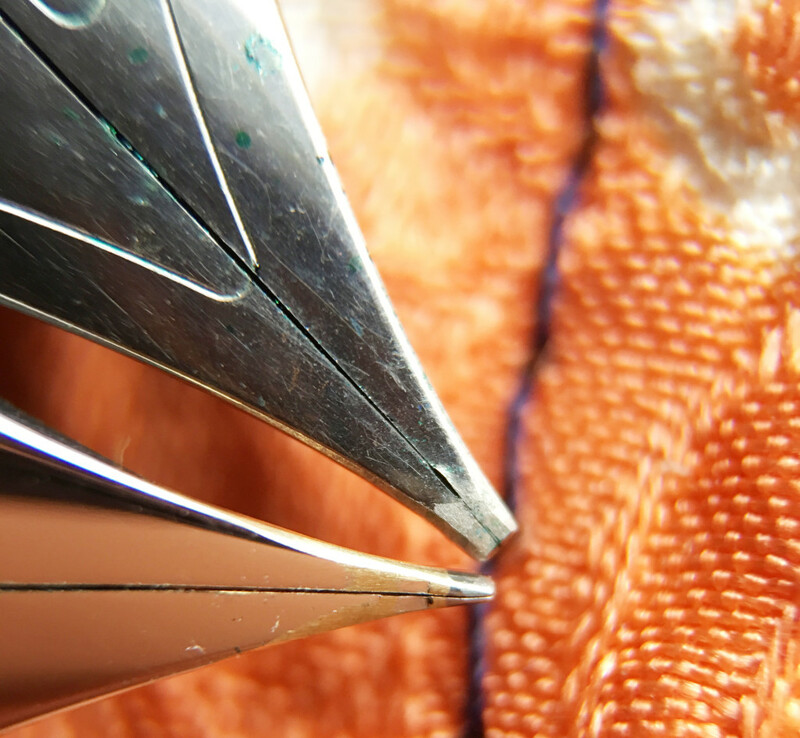 Makers such as Shawn continued to offer nib grinds as an add-on service. In fashion, a bridge brand straddles high and low: think Kate Spade Saturday or McQ by Alexander McQueen. It is a precarious walk; the product needs to deliver the prestige of the brand while being affordable enough to appeal to more. You had to sell your progeny to afford a Conid. 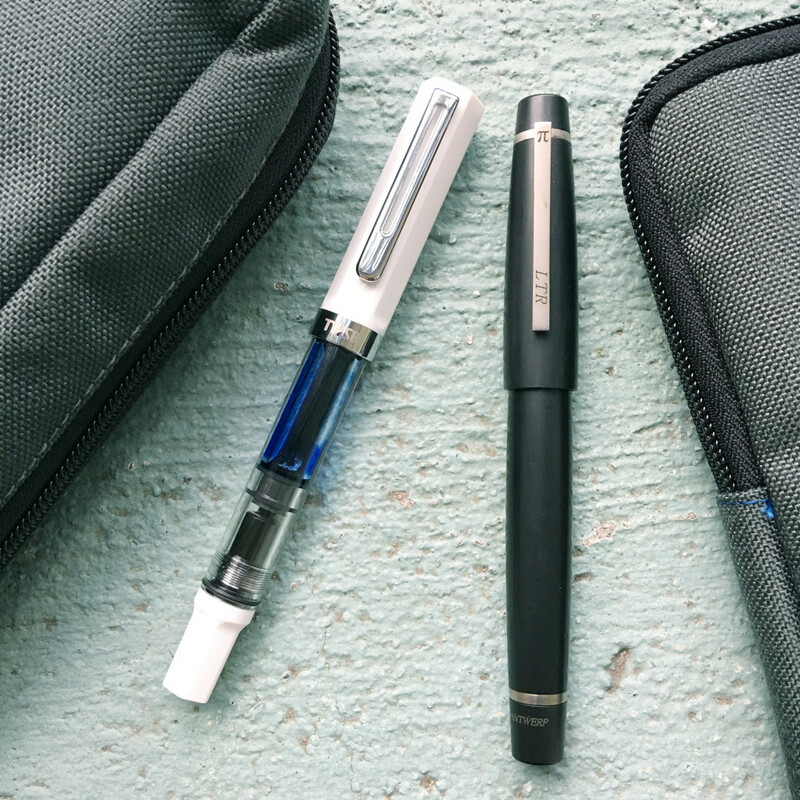 With the entry of the Conid Minimalistica, you only had to sell your limbs. 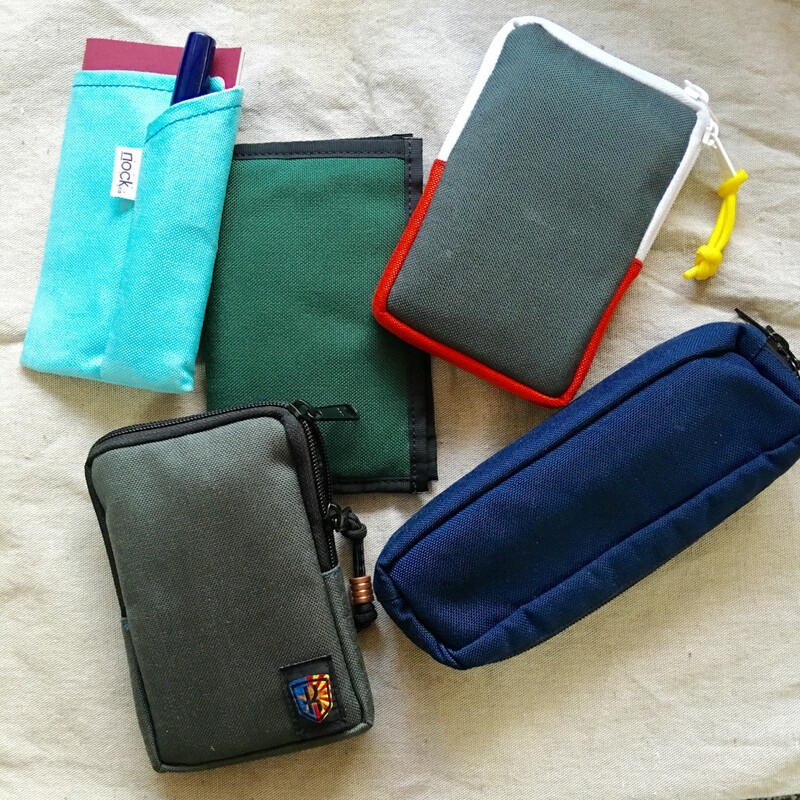 (At least the ones you don’t need to write with.) Seriously, the Minimalistica was an inspired choice of materials and design, with the bulkfilling system you could only previously get in Conid’s higher-end models. Also thanks to a friendly tax ruling, the brand from Belgium definitely had wider appeal this year. 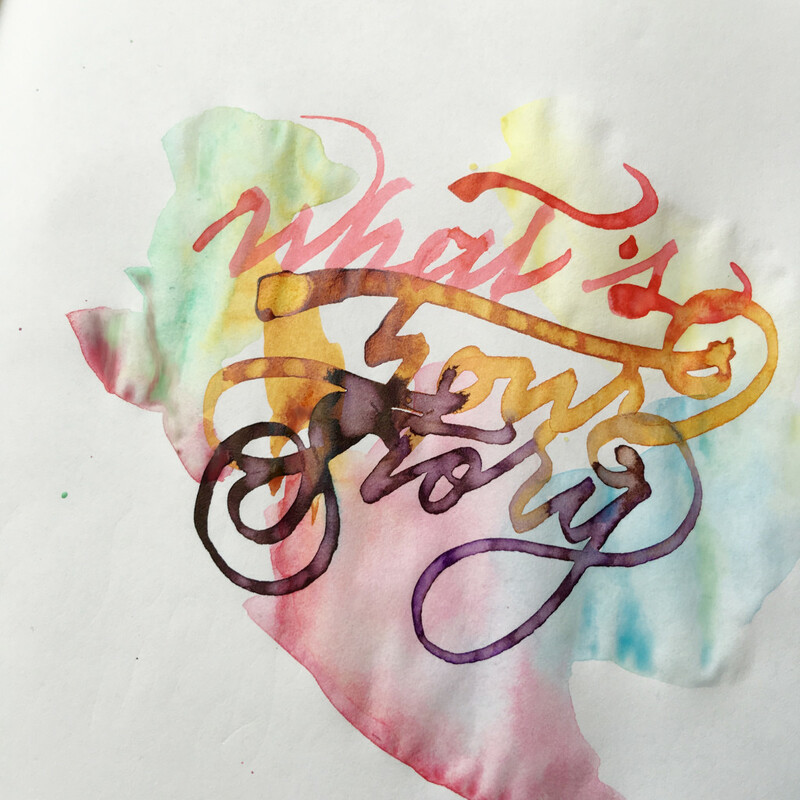 Sailor Storia – available in Manila at Scribe Writing Essentials, this circus-themed line of waterproof inks is unique in color range and mixability. Nock Co – I already liked their Brasstown, but the introduction of the Fodderstack and the Sinclair (previously the Halftower) showed how the team’s design and material thinking helped them arrive at fresh, flexible carry solutions. Check out #nockshots on IG to see how people use theirs. Next up, my wish list for 2016. How was your year in pens?